While you wait patiently for Gravity Rush 2, we can all get a bit of the adorable Kat from the original Gravity Rush back into our lives in Ragnarok Odyssey Ace. Note, she won't be a playable character, this is mostly just a costume. 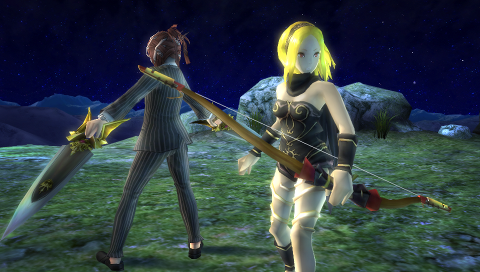 XSEED Games announced via their Facebook a bunch of new DLC, including the Gravity Rush DLC, plus some new quests. Bonus, it's all free! More info is on their Facebook page, but to summarise the Gravity Rush DLC will include a costume for Kat and Alias and some special cards to enhance aerial maneuverability and make the Dainsleif mode more efficient (I have no idea what that last part meant. I'm also reminded I need to buy the first Ragnarok Odyssey as the demo was a lot of fun.). Ragnarok Odyssey Ace is on PS3 and PS Vita. It is already available in North America and Japan. Europe can expect to join in on the fun on the 30th of April.